Being creative comes in lots of different forms. Little ones may love making music, building imaginative structures or sitting down with paper and pens at a table. Whichever form of expression makes them tick, here’s a run down of creative gift ideas perfect for toddlers and pre-schoolers. Architecture can be seen as an art form, so kits which let kids try their hand at creative construction are a great gift for budding builders. As well as building blocks, there are other products which encourage kids to put their construction skills to the test. For toddlers, Joinks by Fat Brain Toys are a great gift idea. This cool set encourages kids to get building, making complex or simple constructions, but always fuelled by creativity. It’s a toy that busy hands will keep coming back to as their interest in building continues to grow. 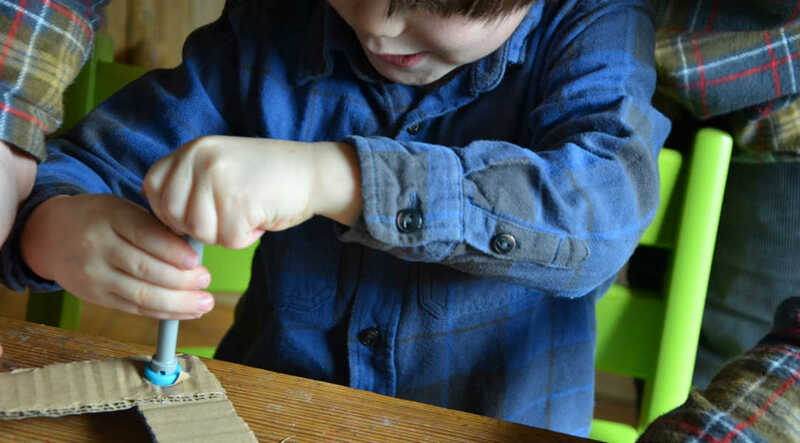 For older pre-schoolers, Makedo design a cardboard construction kit, with the tools needed to make cardboard creations. Great for making use of leftover boxes, kids can reuse them before they eventually make their way into a recycling bag. With a range of bolts, fasteners and kid-friendly tools, imaginations can run wild as little ones come up with playful builds. Art time means a whole lot more than pots of PVA glue, cut up newspaper and toilet rolls these days - not that we are knocking those. There are loads of brands designing crafty products for children, to make getting arty crafty an extra load of fun. Here’s our favourites for your mini creatives. For Toddlers, Playcolour’s Solid Poster Paint Sticks take away the faff of paint trays, water and brushes, meaning less mess too. They come in stick form, can be applied straight on to any surface and they dry extra fast so kids can get their artworks on the wall of fame even quicker. For pre-schoolers, we love the Jaq Jaq Bird Wishy Washers Markers which work on any surface. Yes, any surface. But don’t fear. Once mini Monets are done with their masterpiece, you can take a wet cloth and wipe it away. They are great for creating awesome stain glass patterns on the window. 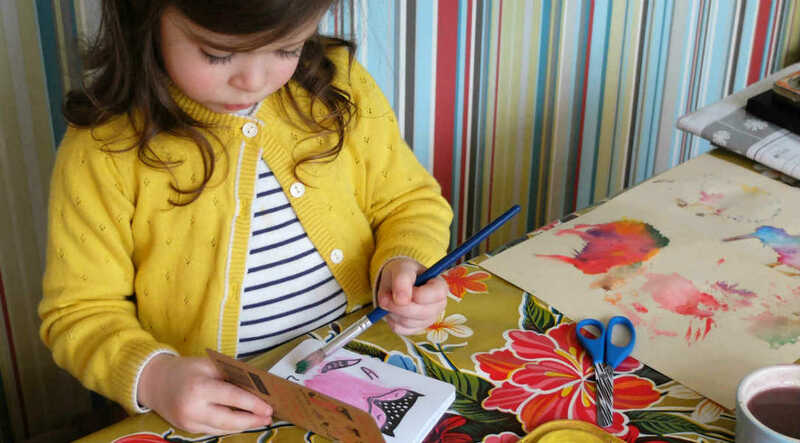 For both ages, colouring books are a go-to gifts. We love The Jam Tart and Wee Gallery activity books, which provide an outlet for kids who like doodling and colouring on paper. Wee Gallery, 32 Ways To Dress Animals. Got a little music maker? Kids enjoy making music from a young age. 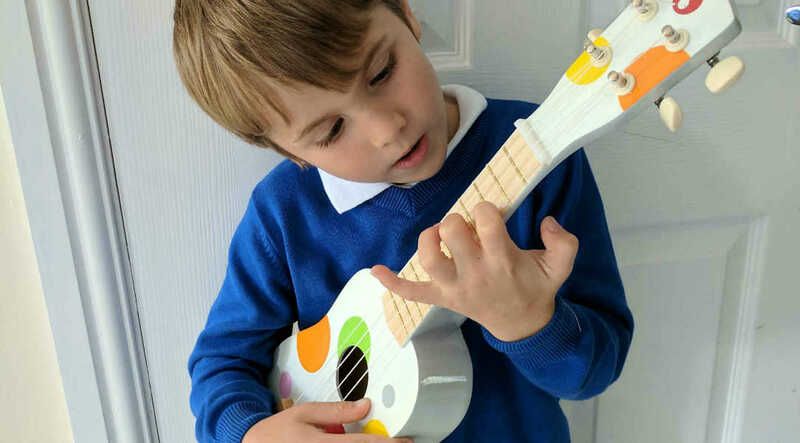 Perhaps lining up saucepans with wooden spoons give them thrills, or they are happy with a plastic bottle filled with pasta, but there are also some instruments designed for little music makers to help them find their rhythm. Open-ended toys and role play props fuel the imagination, allowing little ones to express play creatively. You may have a kid that gets lost in a make belief world when they are given an empty cardboard box, turning it into a space ship for explorative missions to out of space. 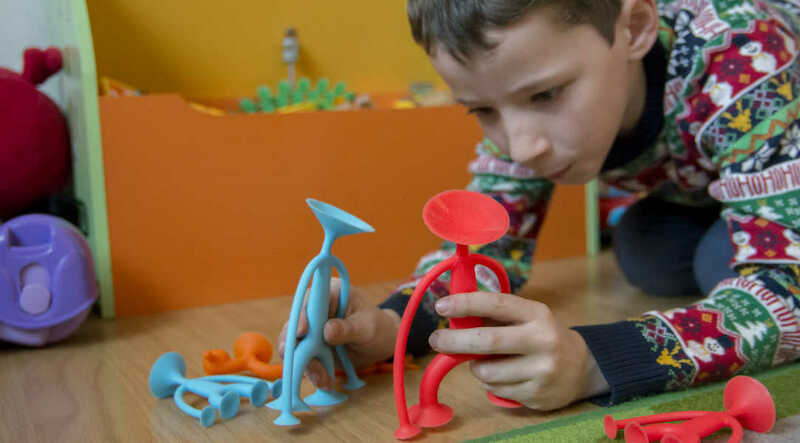 Now, we’re fans of boxes, but we love toys that inspire imaginative and creative play too. Here’s a couple of great open-ended gift ideas. For toddlers, the Moluk OOgi Family is perfect. These playful characters can sucker to just about any surface, and little ones will love coming up with new scenarios for these funny little beings. Take them in the bath or use them at the table, they will be the source of endless fun. For pre-school age, Plan Toys role play sets are a perfect gift idea. We adore this little vet set which allows expressive little ones to try their hand at being a veterinarian... to their stuffed animals of course. The cotton carry case comes with all of the necessary accessories to help bring their little fluffy friends back to full health. A toy like this will be providing a creative outlet for a long time to come.